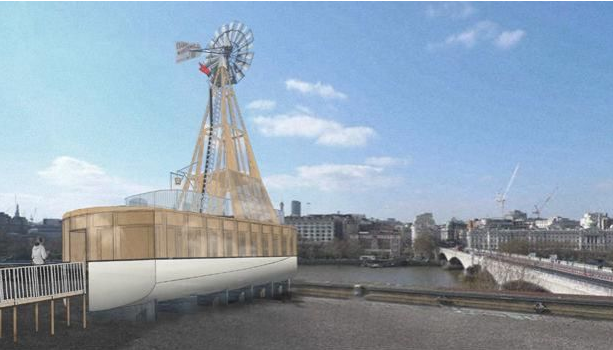 In what is probably the most unusual riverside pied-a-terre since David Blaine's perspex box, this boat-shaped installation will be built on top of the Queen Elizabeth Hall later this year. It is the winner of A Room For London, a design competition run by Living Architecture and Artangel as part of the London 2012 Festival, and from January until December next year it can be rented for the night. The one-bedroomed vessel is (to quote from the Living Architecture website) "intended to offer guests a place of refuge and reflection amidst the flow of traffic at this iconic location in the capital". 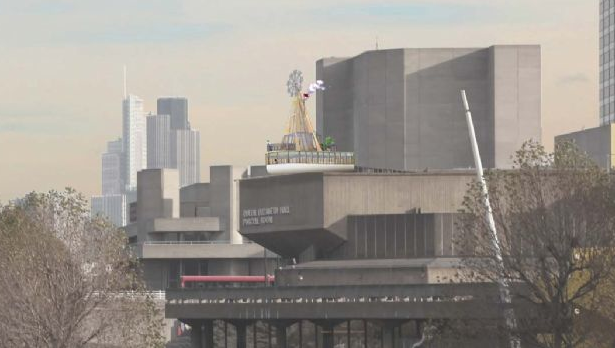 It is designed by Fiona Banner and David Kohn Architects, who have form when it comes to rooftop accoutrements — they also built the Skyroom on top of the Architecture Foundation near London Bridge. In a touch of nautical silliness / whimsy, guests will be invited to sign the logbook on the ship's "bridge" and detail what they descry from the elevated vantage point. Bookings will be available from 8th September. No prices as yet, but judging by the other properties offered by Living Architecture — an organisation fronted by Alain de Botton that aims to promote the "enjoyment of world-class modern architecture" by cadging architects to build ambitious homes for people to rent while on holiday — it isn't likely to be cheap.